What’s the difference between business mentoring and business coaching? A business coach imparts knowledge in the form of a skill set, where a business mentor provides guidance and support in decision making, strategic planning and the day to day challenges you face in your business or job. So in a nutshell, coaching is about up-skilling in areas that can offer the candidate the greatest leverage, and mentoring is about having an experienced and wise head to talk challenges through with, bounce ideas off and help with better decision making. Following a practical example of the differences between business coaching and mentoring. If we are working with a developing or incumbent executive like a departmental manager, our focus will be on developing and delivering a curriculum specifically designed to provide the skills and tools that our psychometric testing and feedback surveys suggest will improve their ability to deliver on their role outcome requirements. Specific strengths will be recognised so the candidate understands how to better utilise their natural attributes for greatest impact, and weak areas will be identified and developed so that they don’t hold candidates back. This kind of coaching commonly takes 6-12 months of on the job learning to achieve the desired outcome. A mentoring role, on the other hand, would be more appropriate when an executive had developed the skills necessary to succeed, and was practicing using them to best effect. Emerging and newly skilled leaders commonly face new challenges and experience higher than usual degrees of pressure and stress because they are going through an unusually high amount of first time decision making. People in these circumstances often benefit greatly from having a more experienced person to confide in, someone who has ‘been there and done that’ and can help the leader think things through and make more mature, fully considered decisions; often drawing on the direct experience of the mentor. At Gwyder we find that mentoring engagements naturally follow some coaching engagements, especially where the candidate and coach have had a good rapport, and the candidate is keen to have some additional support while they develop more confidence and experience in implementing the leadership skills they have learned and developed under our coaching. Mentoring engagements involve less time and usually involve weekly, fortnightly or monthly meetings or phone calls so the executive and mentor can talk through the specific challenges the executive may be facing. 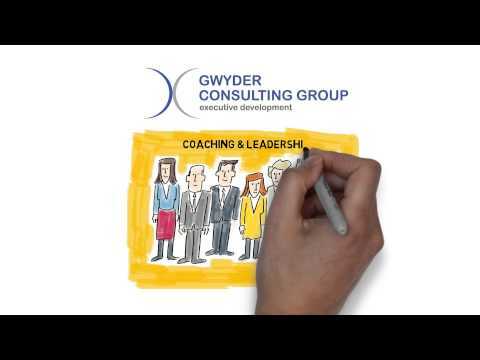 To find out more about Gwyder’s business and executive mentoring services, you can simply leave a message, or call on 0419 475 089 speak to Kerry Little, Gwyder’s Principal Executive Coach. Kerry has an ideal background for a mentor, you can find out more about Kerry’s background here.